You can register for the biennale here (redirects to Aarhus University webshop). Deadline for registration was 8 November, but we're keeping the registration form open and it is still possible to register. Please, however, also email registration [at] mediaarchitecture [dot] org to request confirmation that we have received your registration. The registration fee includes workshop, conference, lunch, receptions and conference dinner. Accommodation is not included so please refer to the Venue & Travel section of this website in order to make individual arrangements.  To register for the biennale, please use the registration form at the Aarhus University webshop. Media architecture is also practiced by students and by individual independent researchers and artists with very limited funding, so if you think this is you, send us documentation and register under this category when we've agreed. When your documentation has been approved, please use the registration form at the Aarhus University webshop to register for the biennale. If you are a student, you can apply to become student volunteer. This implies that we will waive the registration fee and in exchange you will work during some of the conference. To apply, send an email to registration [at] mediaarchitecture [dot] org with a brief description of yourself as well as a motivation for why you would like to participate in MAB. Deadline for applying is 25 October 2012. Travel and accommodation will be at your own expense, but if you are not from Aarhus we suggest that you hook up with those that are and couch-surf. There are student volunteers from Aarhus too and they may be able to help you out.